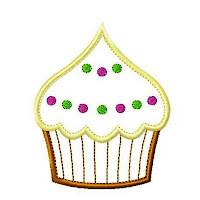 If there was a recipe for this Frosted Cupcake it would be mix 1 cup of love with 2 cups of happiness! 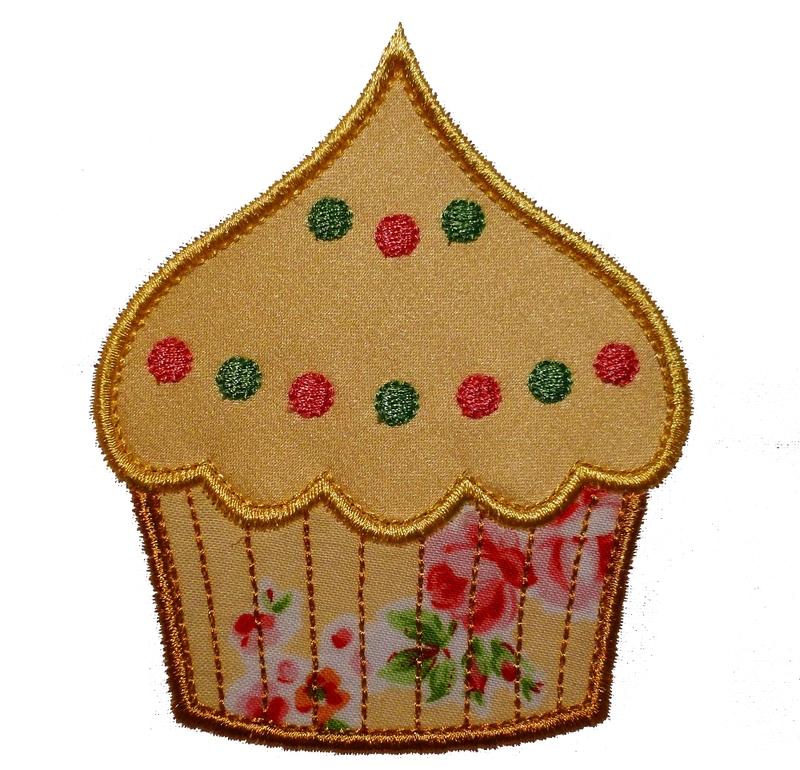 This is a truly fun and "calorie-free" cupcake to applique. 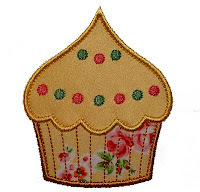 Sew a row of them in different thread and fabric color combinations for a really delightful display. 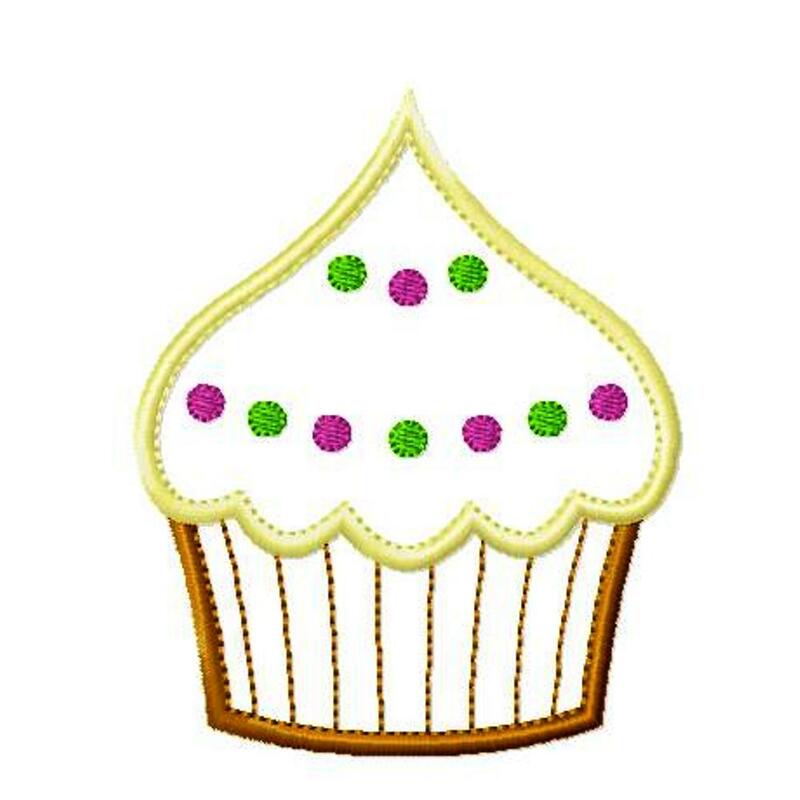 This design features an inner row of Triple-Bean stitching to bring light to the icing and to enhance the folds of the cupcake's cup. 4x4 hoop - exact sizes 3" x 2.44" and 3.93" x 3.21"
5x7 hoop - exact sizes 5" x 4.09" and 6" x 4.92"